We offer luxury private tours around Barcelona especially for you in order to make your upcoming trip to Barcelona an unforgettable experience! Each tour is an interesting and unique experience. 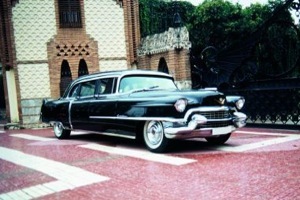 Our concierge will offer you a tailor-made tour according to your interests and preferences. Due to our contacts we are able to provide the best professional and effective service. Our team can recommend the best restaurants and make a reservation according to our client’s demands. We have our personal shoppers available for luxury private tours to the most exclusive shops, among many other services at your disposal. Our team offers gorgeous experiences related to gastronomy, culture, sport, design, entertainment, fashion, etc. Each tour includes a personal interpreter available mainly in Russian, and it is also possible to have a professional tourist guide. We organize luxury private tours adapted to a particular situation, from general tours for newly arrived tourists to unique experiences for the real experts of the region. It is fundamental for us to be up-to-date about all the cultural and gastronomic events, as far as we organize experiences depending on the time of the year and the current events. Our services are based on proximity, that is to say they are exclusive for each client and situation. Each client is unique and each experience is special. Below we present a number of luxury private tours for you to get a general idea of every region we know best of all, as well as a number of alternatives and options which serve as a base for us to adapt to the needs of every client. Live the magic of emotion with Kakdoma Barcelona! You will live a unique experience visiting an extraordinary Montserrat mountain! You will go up the mountain in a cable car, visit the monastery and an old museum where you will see the famous Holy Virgin. And, of course, you will enjoy the exceptional views of landscape. Next, you will be taken to the world of wine amongst the villages surrounded by cellars which will wake up your sense of smell by their aromas and your sense of taste when tasting the best wine after visiting one of the local cellars. After that you will have a snack in a restaurant which will demonstrate you the best flavours of Penedès. In the evening you will visit a picturesque city called Sitges. It is famous by its culture, history and wonderful beaches. You will get to know and discover different places which make up the magnificent coastline Costa Dorada, called this way due to its marvellous and long stretching beaches with fine gold-coloured sand and crystal clear water. You will learn about the rich history of Tarragona, its cultural and historical aspects. After that you will visit its outstanding beaches with gold-coloured sand and crystal clear water, where you will stop for a while and enjoy the local cuisine in one of the most exclussive restaurants. After a short rest you will head on to the heart of the region in order to feel the air of the Middle Ages when visiting the town of Reus and the Poblet monastery. You will start your trip with the medieval district of Girona. Its narrow streets, walls and magnificent Cathedral, which crowns the city, create a special atmosphere, based on magic and mysterious romanticism. Before you head on to the coast you will have a traditional pastry for breakfast and in the mid-morning you will enjoy the wonderful views created by the bays and the beaches from Calella de Palafrugell to Palamós. Then you will have lunch in a typical and cosy restaurant. Finally, you will end your trip walking along the beaches of Sant Feliu. You will go directly to the town of Figueras in order to learn about Salvador Dali’s art. This is the town where there is a museum with the artist’s best works. After the museum of Dali you will start a walk around the city visiting the Castle of Figueras, and then the city of Roses and Empuribrava, where you will have lunch enjoying the seafood in one of the best local restaurants. Finally, you will head on to Sant Pedro Pescador, a little-known village of Costa Brava, where you will have a glass of champagne nearby the sea. The trip is going to last one day and is going to be organized on the car, chosen by you, with a personal driver. You can also book a hotel room and prolong your trip for up to two days. Let us offer you a fantastic experience in the Pyrenees mountains of Andorra in the wintertime. Two days for you to enjoy a wonderful holiday in the mountains! You will travel straight to the city of Andorra la Vella and stay in the hotel situated at the foot of the skiing slopes. 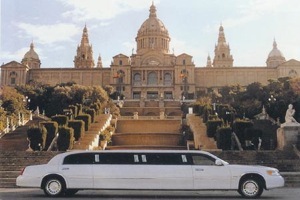 Kakdoma Barcelona will take care of everything (transportation, rent of equipment…). You will be enjoying the fantastic skiing slopes of Andorra until 5 p.m.
After you have finished your skiing experience, you will taste the traditional cuisine and in the second half of the day you will go to the spa Caldea in order to have a rest. Here you will find all kinds of thermal and health-improving treatments. Finally, you will have a dinner in a local restaurant offering the select cuisine. You will spend the second day discovering different shopping opportunities offered by the city of Andorra la Vella amongst the best shops and brands. You will have lunch in the city centre and in the evening you will go back to Barcelona. Spend an unforgettable weekend in Cerdanya! In the morning you will take a ride in a hot air balloon to enjoy the exciting emotions and to admire the wonderful landscape from the air. You will also taste the traditional local dishes, and in the evening after walking along the streets of the town of Puigcerdà you will go to a spa centre. You will stay in a cosy hotel nearby Puigcerdà. Next day you will be able to enjoy the wonderful views of the sea gulf and take a breath of fresh air. It is a two-days trip, a transfer by car with a private driver is included. Discover some magnificent pleasures of Barcelona, taste chocolate in the most exquisite chocolate shops of the gothic area! You will learn about the history and the origin of cocoa visiting the Museum of Chocolate and walk along the narrow streets of the Gothic area discovering the most emblematic places where you will have some delicious hot chocolate and buy come sweet memories for your friends and family. The tour lasts 3 hours. During this time you will visit 3-4 places. Trip on a car with a personal driver. A walk along the main streets of Barcelona where you will find a quantity of various shops which present both the most fashionable brands and the brands of some young designers, as well as expensive vintage shops. With the help of our personal shopper you will turn a usual shopping day into an unforgettable shopping adventure. Each luxury private tour is prepared individually in order to do our best to satisfy all your needs. The shopping day will end with a lunch/dinner in an exquisite restaurant, where you will have a rest and enjoy the Mediterranean cuisine. The trip can last half day or the whole day by car with a driver. Try out the whole day dedicated to fashion with our professional personal shopper. Our professional shopping assistant will guide you through the most exquisite shops of Barcelona. In the second half of the day, in case you decide to have an outdoor photo shoot around Barcelona with our professional photographer, you will feel like a real star. The trip lasts one day. 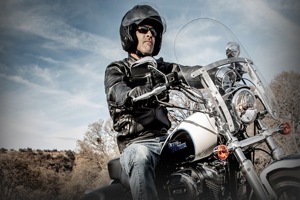 You will be with a driver, a professional shopping assistant and a photographer. Enjoy your holiday with your kids! They will be thrilled to visit the Aquarium which is going to be an unforgettable experience for them and to discover the secrets of the sea fauna. In the second half of the day you will visit the Science Museum of Catalonia. It’s a one-day trip. The transfer is on a car with a driver. You will start your day with the spectacular views over the city of Barcelona from the mountain of Tibidabo, which is 500 m high. Then you will have breakfast in a cafe with the best views over the city. Next, you will go to another panoramic viewpoint of the city – the mountain of Montjuïc, where the Olympic games of 1992 took place. 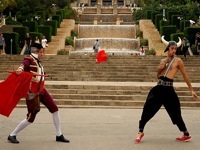 Also you will visit the Castle of Saint George and the Castle of Montjuïc. The trip lasts 3-4 hours. The transfer is on a car with a driver. You will visit the most ancient part of Barcelona, i.e. its Gothic area. Here you will find the ruins of the Roman empire and the narrow streets of this area will help you discover the secrets of the city’s history. You will walk along the main streets of this area in order to see its most emblematic monuments, like the Cathedral, the King’s square and some other gothic buildings situated here. This tour around the Medieval Barcelona will finish on the Paseo de Gracia, which is the great example of Modernist Barcelona. The beginning of the 20th century brought great changes in Barcelona. The city grew a lot during the industrial revolution. It became more modern, richer and had a great potential for innovations. Striving for fame and continuously competing between each other, local architects, painters and nobility were creating unique masterpieces which made Barcelona more attractive. The results of this “competition” are clearly seen both on the main streets of Barcelona and in some places which can be shown only by the professional guide or the local people. Discover the art which spread along the whole Europe under different names, as, for example, Art Nouveau (in Belgium and France), Jugendstil (in Germany and Nothern Europe), and which was of great importance for Barcelona under the name of Modernism. Take a walk along the Paseo de Gracia, presenting the authentic perfection of Catalonian modernism. Unusual, interactive and theatricalized adventure game on the Montjuic mountain called “7 thousand pesetas on the Jewish mountain”. Have you ever put a bet in an auction? Invested money into Catalan lands? Had a meeting with any local secondhand dealers and collectors? Or gone up the sky in a public cable-railway of the beginning of the last century? You are expected to do all this in this theatricalized adventure game. With the help of the professional actors you will be immersed into the atmosphere of the year 1929 and one of the most important events of the time – Barcelona International Exposition. You will not lose any euro coin from your pocket in this fascinating financial game, because only pesetas are put at stake. Legends and little-known facts from the history of the Jewish mountain are awaiting for you everywhere. The game follows a sophisticated route and finishes on the top of the mountain, beside its famous castle of Montjuic. And of course we will not do without wonderful Cava. This Catalan champagne will cheer you up in the Greek theatre where you will also taste some delicious Catalan snacks. How to spend your free time in Barcelona and where to have fun? Discover a unique feeling of freedom given by the Mediterranean sea, feel the warmth of the sun or a slight sea breeze… simply forget about everything enjoying the harmony of the wind and the sea away from the city noise. 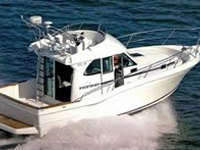 Would you like to spend an unforgettable day in the high seas enjoying the thing you like doing most of all, like fishing? We will organize an amazing day dedicated to fishing and take care of the high-quality equipment and real professionals who will acompany you. 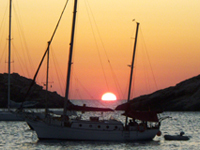 We guarantee you will enjoy not only fishing but also picturesque views of Catalonian coasts around! Leave behind all your everyday hassels and fill yourself with positive emotions enjoying wonderful views while visiting Barcelona, Montserrat or local vineyards. Everything is just spread over your eyes. 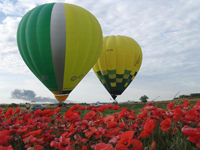 Make your dream come true and enjoy hot-air ballooning! Discover the variety of the Catalonian culture through its taste, aromas and local wine. 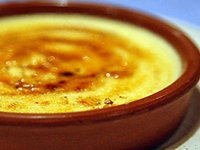 Get to know all the special characteristics of the Spanish cuisine and enjoy its wonderful taste. Having done a culinary course under the guidance of a professional chef you will learn how to cook the most popular Spanish and Catalonian diches. Cooking together is a real fun! 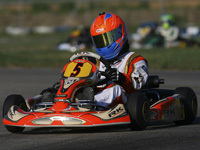 Carting is one of the most popular kind of active leisure both among adults and children. Take your chance to have fun and get an adrenalin rush and positive emotions. Enjoy at full speed! You will not forget it! 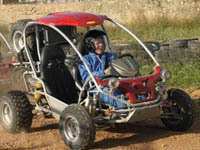 Driving a mini-buggy (offroaders looking like bugs) is a magnificent entertainment for children. The coach will guide you through an adventurous tour around the most picturesque places, so that you will definitely want to repeat this amazing experience. Are you a thrill seeker? 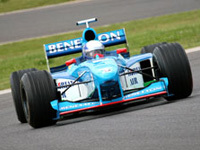 Then discover this unique experience and feel yourself a real F1 driver. 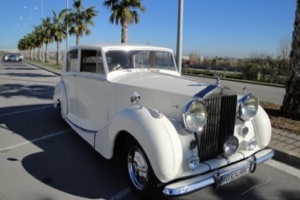 Try an authentic F1 bolide on Montmelo track, which is around 20 km away from Barcelona. Just the way the most worldwide famous race drivers do it. Learn to drive one of the most innovative vehicles, i.e. 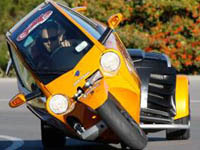 three-wheeled Carver One, which combines aspects of a motorcycle and a car, as well as stability and dynamic cornering. Carver One can tilt up to 45 degrees while turning and its top speed is up to 190 km/h in just some seconds. Bring some change to your everyday life and start diving, which will definitely inspire your profound admiration and will arouse your curiosity when enjoying the beauty of aquatic fauna. 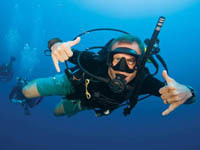 We will help you with enrolment in the diving course. At the end of the course you will get a certificate and be able to travel all over the world searching for new aquatic experiences. 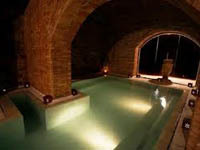 «Arabic baths» is an elite thermal spa sentre. Its oriental interior design, long-lasting traditions, mixture of nice perfumes and aromatic oils bring you immediately to a fantastic oriental fairy-tail. This unique spa centre offers you hot or cold water swimming pools, comfortable steam rooms… You can even have a cup of tea sitting on the warm marble and enjoy a relaxing massage session. Capture the brightest moments of your life! The sea, the beach, Barcelona and you – why not to capture this wonderful picture and then share it with your family and friends? We will arrange a photoshoot for you, be it in a photographic studio or during a walking tour around the city with a professional photographer. It will be a lively recollection which will accompany you all your life. This elite golf club is already 50 years old. It differs not only by high-quality professional facilities, but also by a special programme of environmental conservation and water treatment. You will definitely have a great time, not only playing golf, but also sunbathing in the sun, doing exercise in the gym, playing padel or just enjoying nice dinner. 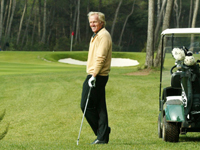 There is also a big children’s playground and even a golf academy for children. 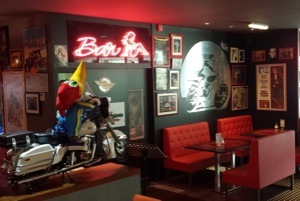 It is an ideal place to hold a meeting, negotiations or practice teambuilding activities. One of the most highly professional coaches with wide national and international experience will teach the game’s specifics and even recommend you where it’s best to have lunch after the training. With the help of the professional actors you will be immersed into the atmosphere of the year 1929 and one of the most important events of the time – Barcelona International Exposition. You will not lose any euro coin from your pocket in this fascinating financial game, because only pesetas are put at stake. Legends and little-known facts from the history of the Jewish mountain are awaiting for you everywhere. The game follows a sophisticated route and finishes on the top of the mountain, beside its famous castle of Montjuic. nd of course we will not do without wonderful Cava. 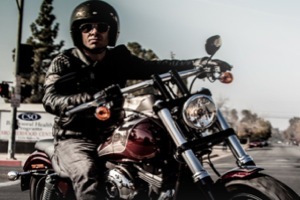 Our partners in the rent of cars and motorcycles will be glad to offer you their services and your personal assistant of KakDoma will organize for you the chosen type of the car and assure the mutual understanding with the team of the rental company. You can order the service by phone or the personal accompaniment with a Russian interpreter. We will help you to save your time! We tightly collaborate with the official dealer Harley Davidson in Barcelona and we can help you to find the necessary model of the motorcycle for rent or purchase, go with you to the Harley Davidson shop where you can buy clothes and accessories with the logo of the brand, tell you about the concerts and events held in the bar Harley and other places of Barcelona, organize you an original tour on motos in Barcelona, Sitges and so on. It is a unique experience which you should try. It will make you feel happy. Just leave the details of its organization for KakDoma.